Thanks to another advance in nitrile technology, Omni International is proud to announce its latest Nitrile Examination Glove, the OmniTrust™ Nitrile Glove PL. It’s a new, thinner, lighter glove with impressive tactile sensitivity. 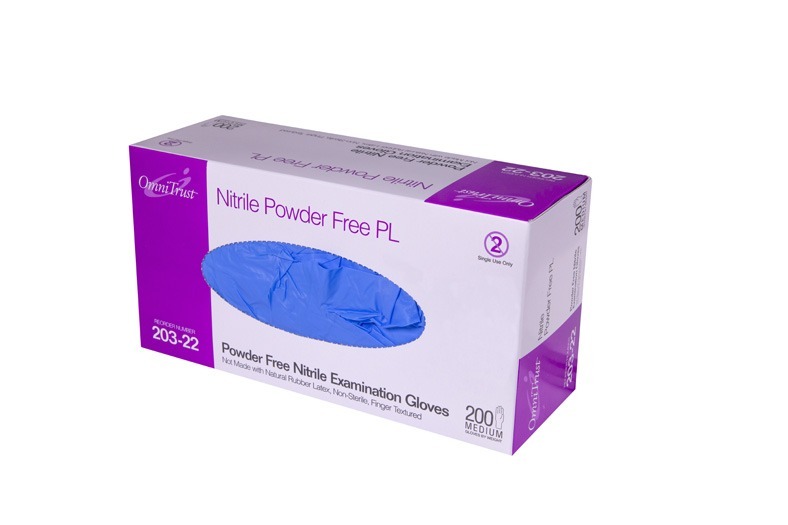 You will find the OmniTrust™ Nitrile PL soft, stretchy and comfortable to wear with the comparable strength and protection of a regular nitrile glove. It’s chlorine-free so the glove maintains its natural durability, and it is polymer lined for easy donning and improved elasticity. In addition, the textured fingers allow for excellent grip control and maximum ease of use with delicate instruments, making the #203 glove the perfect choice for physicians, dentists and veterinarians alike.